Pope Francis and his senior advisers were “clearly disappointed” by President Trump’s decision to pull out of the Paris agreement on climate change “and had hoped this would not have happened,” Vatican sources told America. They recalled that the White House advisers that accompanied the president to meet Pope Francis and senior Vatican officials on May 24 appeared more in favor of abiding by the accord but that Mr. Trump seemed to be moving in a different direction during those discussions. The meetings at the Vatican nonetheless had encouraged a glimmer of hope that the president would not go down this road. Pope Francis has not made any public comment so far on Mr. Trump’s decision, but he has already made his position abundantly clear on the question of climate change in the encyclical “Laudato Si’” and in his comments around the U.N.’s COP21 summit on climate change in Paris in 2015, the sources added. He described the decision as “a great evil and irrational” because it goes against science and the indisputable evidence that climate change “is impacting on the health of people across the globe.” President Trump’s decision “goes against Laudato Si’,” the encyclical on the care of our common home “that Pope Francis showed him when he was here,” Archbishop Sorondo said. The Holy See’s science academy that he leads had done much of the preparatory work for “Laudato Si’,” bringing together the expert opinions of the world’s leading scientists on climate change. Archbishop Sorondo said the academy will host a conference in the autumn on climate change’s impact on human health. Another Vatican official who had closely monitored the COP21 summit sought to put the decision into perspective while not hiding his disappointment. “It’s a bump along the road. It neither makes nor breaks the Paris accord,” the official, who asked to remain anonymous since he was not authorized to speak, told America the day after the president announced his decision. As long as the patriarchal climate within the Church is not resolved, we are part of the problem, not part of the solution. Everything is connected. 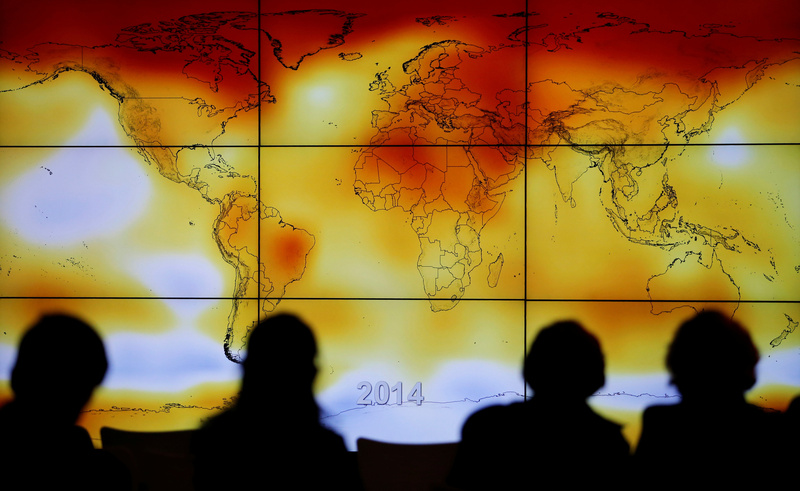 The Paris agreement, which is not a binding treaty, might be at least a symbol of shared concern about international peace and justice. The climate is changing naturally, human activity as a significant factor is uncertain, there is an urgent need to provide better weather forecasting and disaster relief services to vulnerable communities, etc. But who cares? Using "climate change" as a surrogate for the real issues of patriarchy-driven overpopulation and extravagant consumption on the ground is a distraction that makes it easier for vested interests to sabotage any social/ecological justice initiative for the sake of political expediency and profiteering. The 10000+ years old patriarchal era is passing away. The Church cannot expect others to adapt if she is not willing to adapt. I am grateful to the Vatican for clear language. "A great evil and irrational" accurately describes the decision to withdraw from the Paris agreement. It actually describes the entire Trump administration quite well. What Trump said was he wants a global warming accord, just not the one negotiated by Obama/Kerry where our obligations are front loaded and extraordinarily expensive and the obligations of the two major world polluters, India and China, are backloaded and virtually non-existent. So, the issue is not an improper abandonment of valid climate concerns; it's the proper rejection of the unfairness to our country of the Obama Executive Order approving the Paris Accord . Make it a fair deal with all countries fairly sharing responsibilities and I fully expect President Trump would support Congressional action to approve it. Mr Bloomberg, currently the United Nations special envoy for cities and climate change, said: "The US will meet our Paris commitment and through a partnership among American cities, states, and businesses, we will seek to remain part of the Paris Agreement process. "The American government may have pulled out the agreement, but the American people remain committed to it - and we will meet our targets." "Americans do not need Washington to meet our Paris commitment and Americans are not going to let Washington stand in the way of fulfilling it."